Like many international artists, Do-Ho Suh leads an itinerant life, hopping from his family home in Seoul (where his father is a major influence in Korean traditional painting) to his working life in New York. 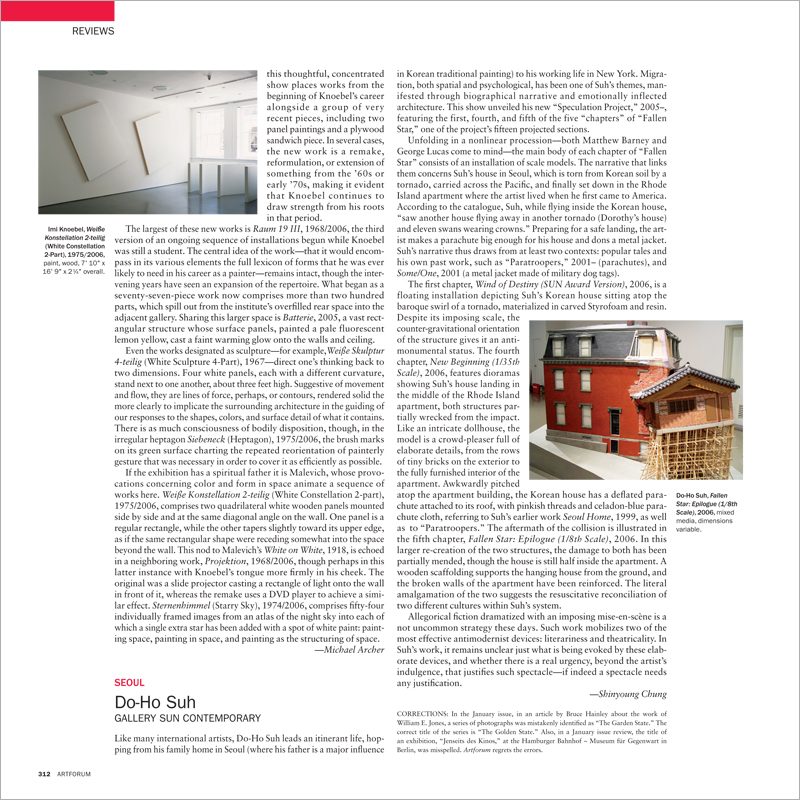 Migration, both spatial and psychological, has been one of Suh’s themes, manifested through biographical narrative and emotionally inflected architecture. This show unveiled his new “Speculation Project,” 2005–, featuring the first, fourth, and fifth of the five “chapters” of “Fallen Star,” one of the project’s fifteen projected sections.